Saturday, April 12th is increasingly looking like a big day for T-Mobile. Yesterday the carrier introduced its new "Simple Starter" plan going for $40. Now, for day 2 of 3 "un-carrier" announcements leading up to this weekend, T-Mobile has unveiled "Operation Tablet Freedom." This offer entices customers to purchase LTE versions of tablets for the same price as the Wi-Fi versions. The company will then provide 1GB of free 4G LTE data for the remainder of the year in addition to the 200MB of free data lasting for the life of the device. Like yesterday's announcement, this deal will become available two days from now. T-Mobile would love for you to trade-in your current Wi-Fi tablets when opting for the LTE-enabled model, but it doesn't yet appear to be offering too much in the way of incentive. When I try to see how much my current 32GB 2013 Nexus 7 would get me, T-Mobile tells me a mere $41. Yeah, that's not all that compelling. Nevertheless, the rest of the "operation" looks sweeter. Now let's see what tomorrow holds. 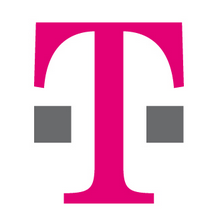 T-Mobile becomes the only major national carrier or retailer offering LTE tablets for the price of Wi-Fi-only models. And now get free data through 2014 when you add tablets to your voice plans. BELLEVUE, Wash. – April 10, 2014 –T-Mobile US, Inc. (NYSE: TMUS) has revealed the second in a series of rapid-fire initiatives designed to advance the Un-carrier consumer revolution on multiple fronts. The company today launched Operation Tablet Freedom, a program that lets you add a tablet to your postpaid voice plan for free. Beginning April 12th, customers can get nearly 1.2 GB of free 4G LTE data every month through 2014 on America’s fastest nationwide LTE network. First, cellular-enabled 4G LTE tablets are more expensive than Wi-Fi-only models. Second, even if you’ve put down the extra money for that cellular-enabled tablet, committing to a long-term data plan for it can be pretty intimidating. And, finally, most people with tablets are stuck with their old Wi-Fi only model, and those who do have cellular models are often stuck in overpriced carrier contracts. Today the vast majority of American tablet owners are stuck on Wi-Fi or stuck in carrier contracts. That’s about to change. If you’re stuck on Wi-Fi, you can now come to T-Mobile and upgrade to a 4G LTE-enabled model for nothing down and pay no more than you’d pay for the cheaper Wi-Fi-only model, with any postpaid activation on a 1GB or more mobile internet plan with no annual service contract. For example, pay the Wi-Fi price of $499 instead of $630 for the 4G LTE-enabled 16GB iPad Air. Or pay the Wi-Fi price of $200 instead of $312 for the 4G LTE Samsung Tab 3. Voice customers adding the 1GB tablet plan for free for the rest of 2014 also fully qualify for these reduced prices. If you’re stuck in a contract with your old carrier, the Un-carrier will pay every penny of your early termination fees (ETFs) when you make the switch to T-Mobile. Just bring in your tablets to receive an instant credit based on their value. Then purchase any tablet at the new lower same-as-Wi-Fi prices. Customers may even qualify for zero down financing with 24 monthly payments. After receiving the final bill from your old carrier showing your ETFs, just mail it in or upload it to www.switch2tmobile.com. T-Mobile then sends an additional payment covering every last penny of those fees. And, for both new and existing customers, T-Mobile is offering $10 off its most popular internet data plans starting April 12th through the end of 2014. For voice customers, what that means is you can get up to 1GB of 4G LTE data free every month through the end of the year. Combined with the 200 MB of free data you already automatically get every month with T-Mobile’s previously announced “Free Data for Life” offer that comes to nearly 1.2GB of free 4G LTE data every month through the end of 2014. If you love living beyond the Wi-Fi zone – and want to keep enjoying that tablet freedom beyond 2014 – you can get it starting at just $10 a month with voice service next year. And whether you are an individual or small business customer, you can take advantage of all of the above plus enjoy all the benefits of our Simple Choice plan with no annual service contracts, no overage charges while on T-Mobile’s lightning fast network, no upgrade hassles with T-Mobile’s revolutionary JUMP!™ program, and with “the world as your network at no extra charge”.